Lock Stock & Barrel is a versatile distortion pedal that converts your clean tone into the powerful, saturated grit that you'd hear from a vintage, high-wattage tube amp. With three distinct distortion modes, Lock Stock & Barrel gives you everything from classic crunch tones to tighter, more modern high-gain sounds. Featuring True Bypass switching to maintain the purity of your clean tone, Lock Stock & Barrel delivers a wide array of distortion sounds in a compact package. 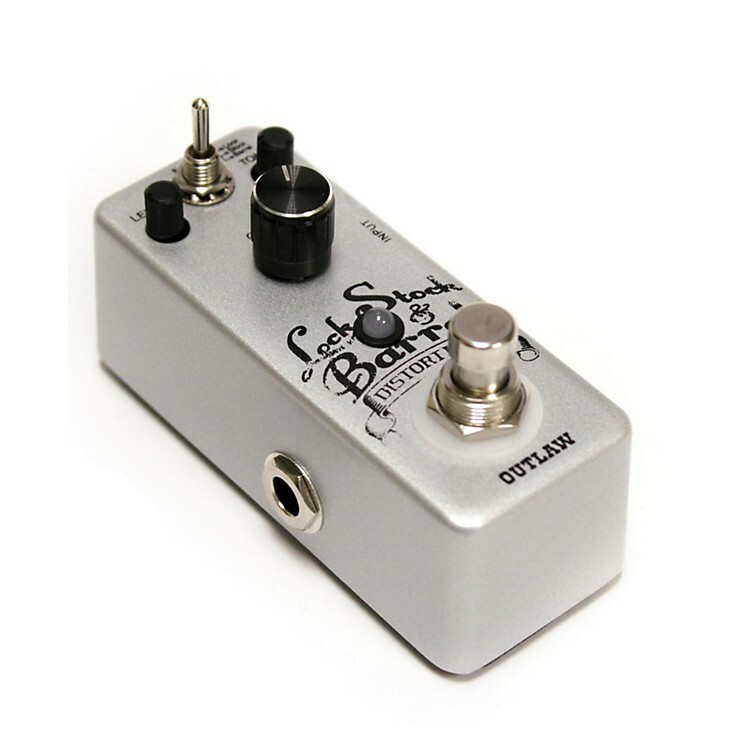 Outlaw Effects are a compact and sensible line of guitar and bass effects pedals. They are slim and low profile, and take up very little room on a pedal board. True bypass switching, a rugged chassis, low noise and affordability are the hallmarks of the Outlaw Effects line. Tone so dangerous, it can only be wielded by an Outlaw. Order today!